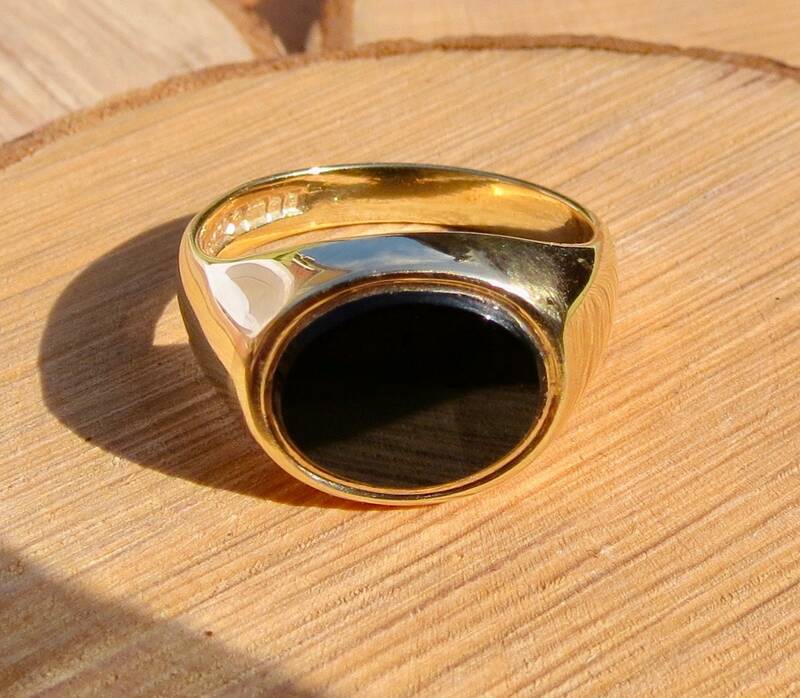 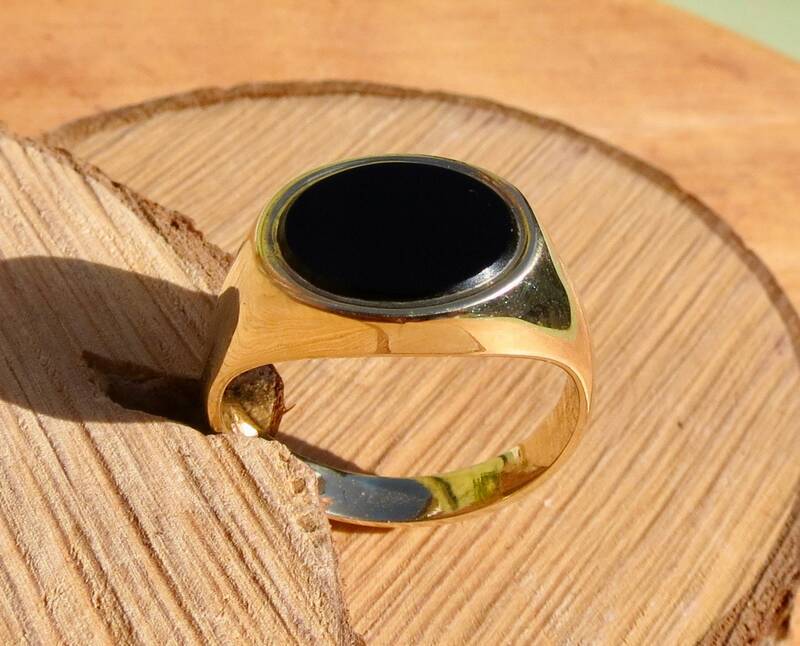 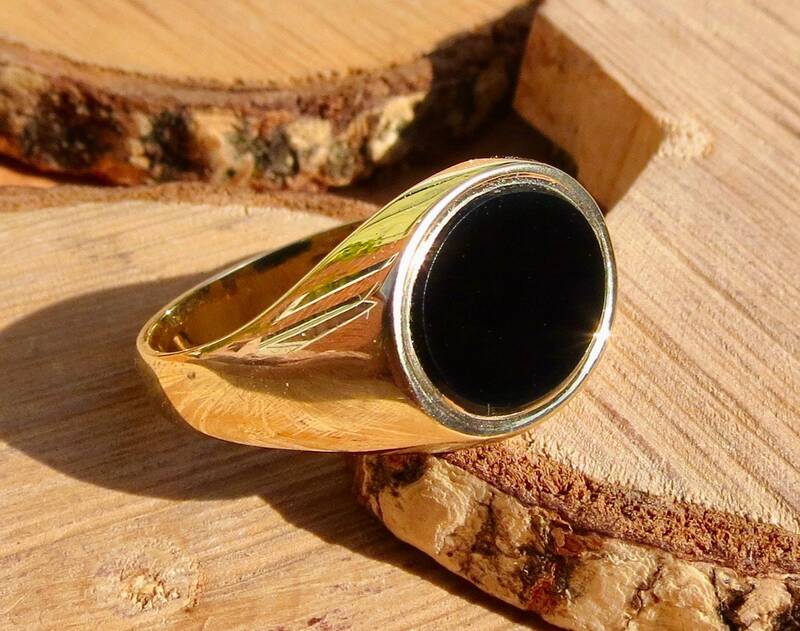 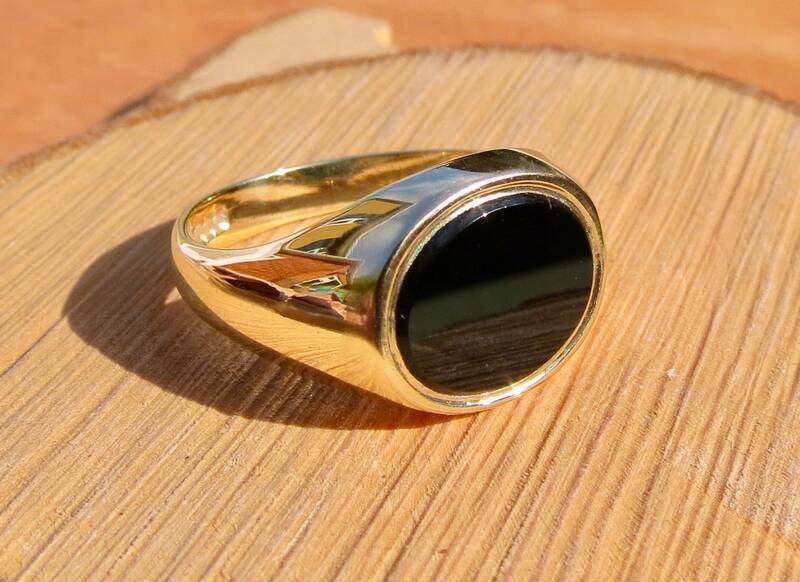 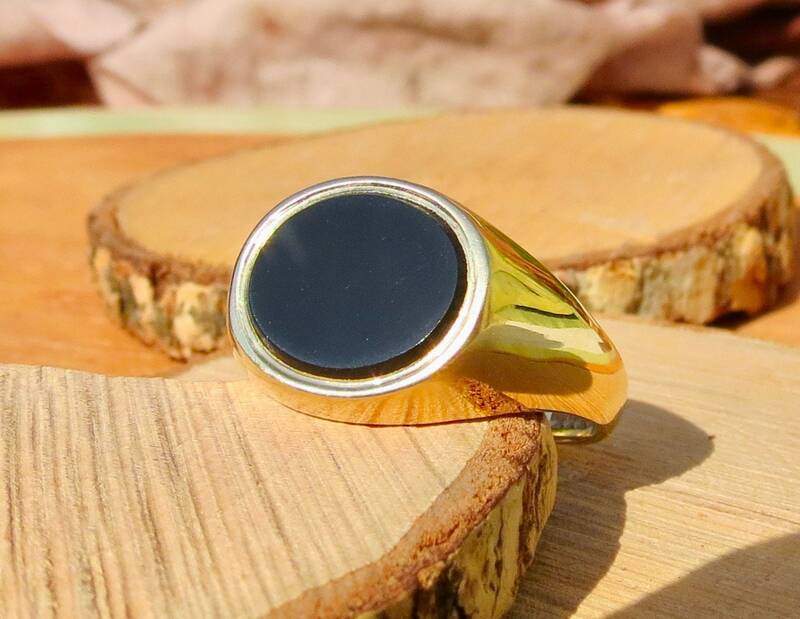 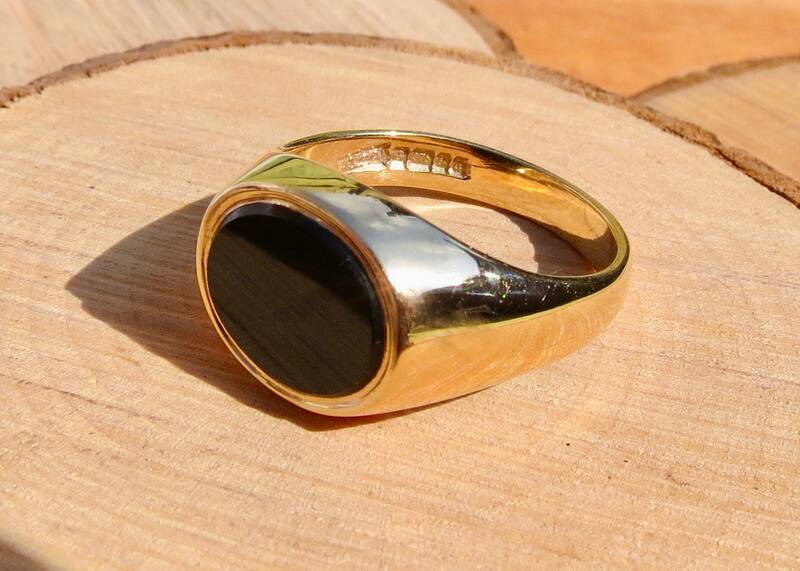 This vintage 9K yellow gold and black onyx signet ring has an oval stone measuring 1/2 inch (12mm). 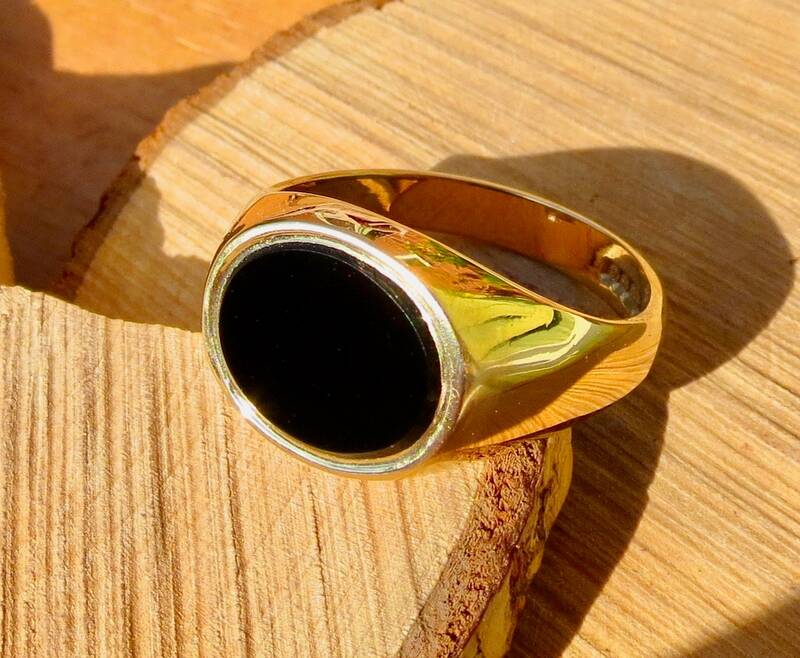 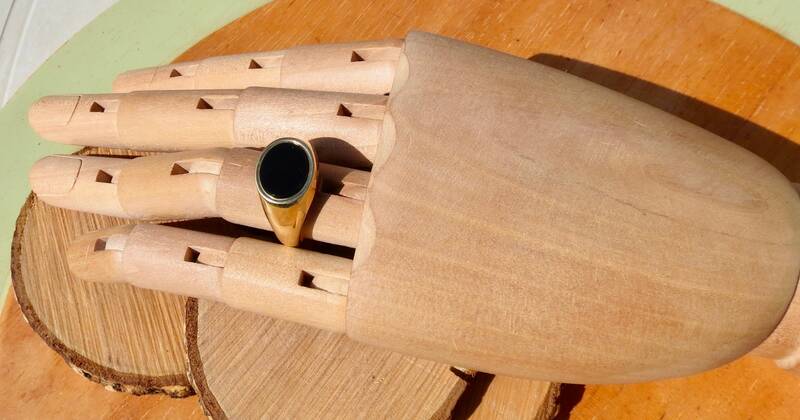 The ring has an oval setting a with wide shoulders a leading to a plain shank. 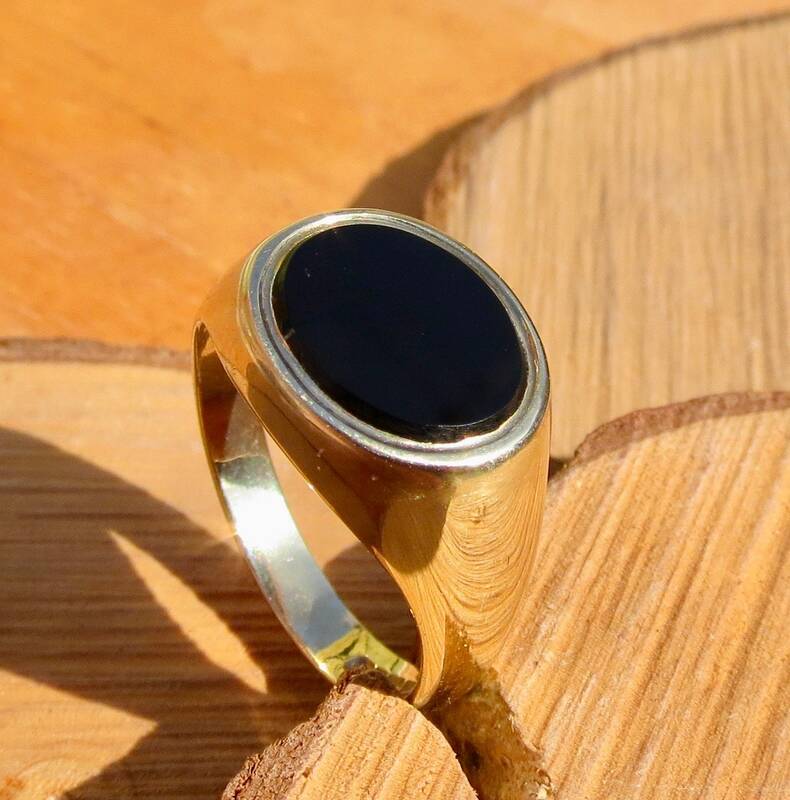 The black stone is in very fine condition, no scratches or chips. 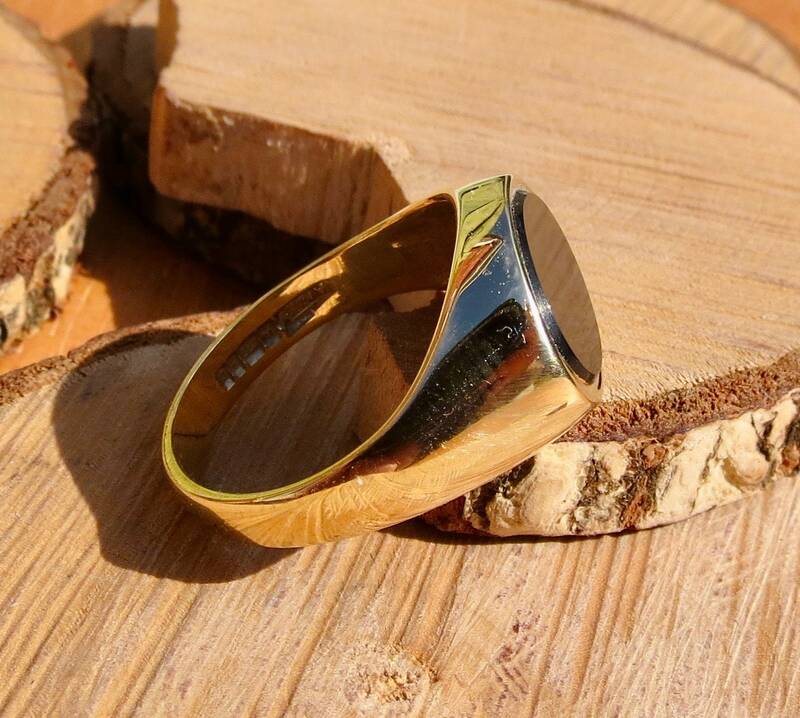 Full English Hallmarks, Birmingham England, 9k yellow gold, date letter C for 1977.